Given the sheer volume of NBA games, there are always efficiencies to be had in the betting market. Whether it be due to location, media coverage, or on-court talent, certain teams are vastly overrated, whilst others fly under the radar. Having analysed some of the worst NBA teams for punters last week, we’ll now take a look at 5 of the most profitable situational trends to take advantage of. Whilst the Kings have been one of the best NBA sides ATS this season, they’ve been particularly strong as a favourite. Their 16-5 mark is comfortably the best in the Association, giving them a cover percentage of 76.2%. They’ve been particularly strong as a road favourite, going 6-1 ATS in an admittedly small sample size. A potential reason for their success as a favourite is the incredibly fast pace the Kings play at. This creates more total possessions and allows them to cement their advantage over inferior opponents. Having significantly outperformed expectations this season, punters are likely still trying to accurately rank Sacramento. Moreover, the Kings won’t have their draft pick this season, meaning there shouldn’t be any motivational issues down the stretch. With games against the Mavericks, Pelicans, and Cavs still on the schedule, Sacramento should continue to do well as a favourite. One of the more curious NBA teams ATS this season has been the Miami Heat. They’re an impressive 25-12 against the number as an underdog, yet sit just 15-21 as a favourite. Miami have been particularly excellent as road underdogs this season, hitting a mark of 18-8 or 69%. This can largely be attributed to a strong coaching staff and relatively deep roster. 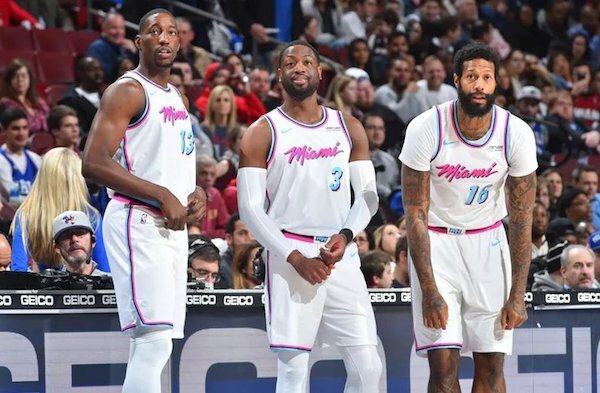 Erik Spoelstra has done a fantastic job of maximising talent throughout his career and continues to do so in 2019. They’ve faced some particularly large numbers this season and come close to some road upsets against the NBA’s best. Fighting for a playoff spot out East, I expect them to be incredibly motivated the rest of the way. With games against the Celtics, Sixers, and Raptors still on deck, expect Miami to continue to be plucky underdogs. In addition to being the best team in the NBA this season, Milwaukee has also been especially consistent after a loss. They have by far the best mark in the Association, going 16-3 for a fantastic 84% record. This is partly attributable to the fact that Milwaukee has also been the best team ATS all season. They’re 43-27-3 against the number, but a more middling 27-23-3 after a win. Having fought for the #1 seed all season, Milwaukee are clearly very keen to avoid their momentum slipping away. Losses have been relatively rare for Milwaukee during this season; however, they do have some admittedly tough matchups coming up. They can still be had at a juicy $11 for the NBA title. Given the toughness and resiliency shown by this squad, I expect backing them after a loss to continue to be very profitable. The general trend in the NBA is that teams play much better after several days of rest than they do on a back-to-back. Washington has completely bucked that trend this season, going an impressive 12-3 ATS on no rest. This is a particularly curious trend since they’re only 35-39 against the number on the season. They’ve outperformed the spread by an average of 5.1 points per game, indicative of just how undervalued they’ve been in the market. This is likely due to the public overreacting to John Wall’s injury when we now know that Washington has several capable alternate playmakers. Fortunately for Wizards backers, they’ve got back-to-back games against the Lakers and Suns starting this Wednesday. Given that both of these sides have essentially packed it in this season, this trend should be good for one final cover for punters. Just like Sacramento, the Clippers have been one of the more pleasant surprises in the NBA this season. In the midst of 10 wins in their last 11 games, they look poised for a competitive first-round playoff series. They’ve been particularly kind to spread backers this season, going over 66% as a favourite in their 30 instances. This is particularly curious when you take into account the fact that they’re only 16-19 ATS as underdogs. It suggests that the Clippers can definitely outperform the teams below them, but struggle against the NBA’s best. Given the construction of their roster, this honestly isn’t all that surprising. Especially since the Tobias Harris trade, they’ve been very reliant on their depth and energy to win games. Fortunately for Clippers backers, remaining home games against the Cavs, Grizzlies, and Lakers provide ample opportunity for this trend to continue. Effectively identifying profitable situational trends is an incredibly important skill for NBA bettors. Each of these trends has hit at least 65% of the time this season on 15 or more instances, indicative of the potential profits on offer. As we enter the final stretch of the regular season, all evidence suggests that these trends should continue.